A two days refresher training of district master trainers was conducted in Peshawar, KP. Total number of district master trainers were 22, out of which 12 were female & 10 were male. The training was delivered through PITE master trainers. Whereas, in district Swat, KPK 5-day ToT on SBDRM was conducted whereas 16 male & 13 female teachers were trained as district master trainers who shall further replicate the same knowledge to school teachers in respective areas. YES Centre, Multan has completed its 16th batch of skills training for young girls in April, 2018; a total of 391 (329 young girl & 62 Women Entrepreneurs) have been trained in these 16 batches. Young girls along with women entrepreneurs learned about pattern making, cutting, stitching, embroidery, quality audits, finishing, packaging, labelling. Trainings are inclusive of both theory and hands on training. Presence of women entrepreneurs has helped young girls to learn from their experiences and to establish contacts; over 75% of young girls have been engaged by these women entrepreneurs ensuring a sustainable livelihood. 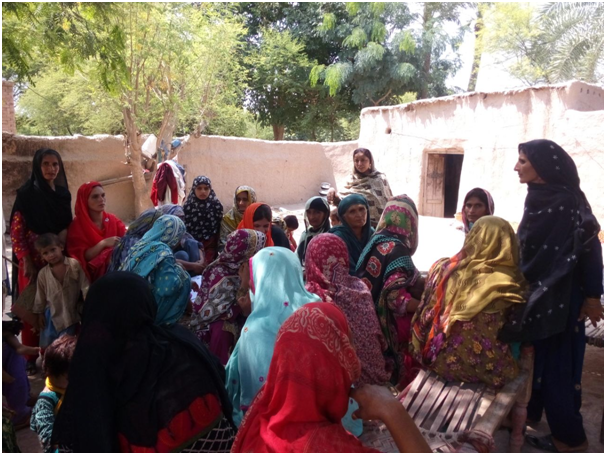 Pakistan coalition for Education (PCE) is a coalition of civil society partners and individuals joined together to raise voice on the issued surrounding the education in Pakistan and advocate the same. 16 December 2014; a heart-wrenching, painful and wicked day in the history of humanity. Seven gunmen affiliated with the Tehrik-i-Taliban (TTP) conducted a terrorist attack on the Army Public School in the city of Peshawar. More than 150 people were killed including 134 children and school staff members. On 13th October, 2015, International Day for Disaster Risk Reduction was observed by members of the DRR Forum on behalf of civil society working in Pakistan. The theme for 2015 focused on the use of traditional, indigenous and local knowledge.